Basit Ali ke samne koi or cricket pe serious analysis de to Basit bhai mind kar jatey hain ???? & Elected To Bat 1st. 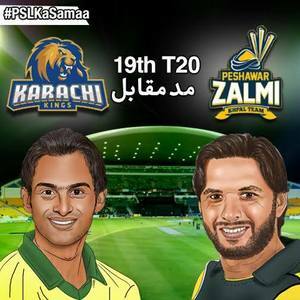 19th Match: Karachi Kings have won the toss and elected to bat first against Peshawar Zalmi. #PSLT20 #KRKvsPSZ "
Visit my twitter account for #psl #polls #hblpsl #pslt20 #cricket #pakistansuperleague ⚡️??????? ?